A large new water filter was installed Friday, July 1, 2016. Our previous filter was rusting through and had to be replaced. The new filter is a Clemons Model 700 filter with an internal brush for cleaning. The Model 700 is 77 inches long, 14 inches in diameter and is capable of 700 gpm. 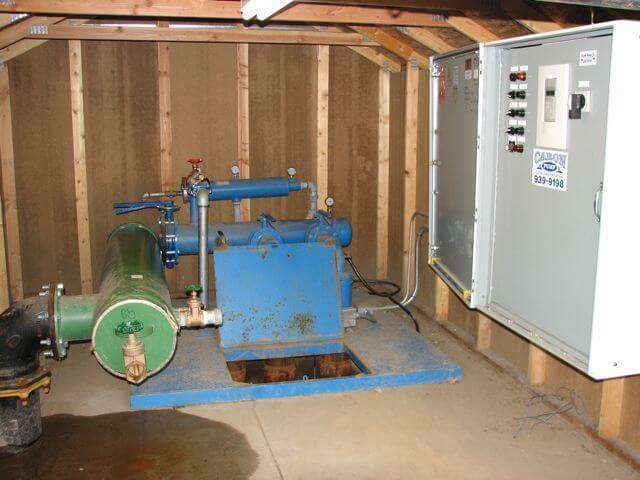 The new brush setup will allow the filter to be cleaned while the pumps are running. To clean, a valve is opened at the end and the brush is then moved back and forth manually to clean the filter with the debris being flushed out through the open valve. The casing is galvanized and should last longer than the last one which lasted 15 years. The filter screen is stainless steel with 3/64 inch holes (.045 inch) which is quite fine. We’re hoping that this will solve many of our filtration problems. 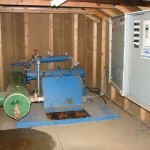 This illustration is similar to the valve installed. You can just see the T-shaped handle to the internal brush at the right end next to the flush valve. 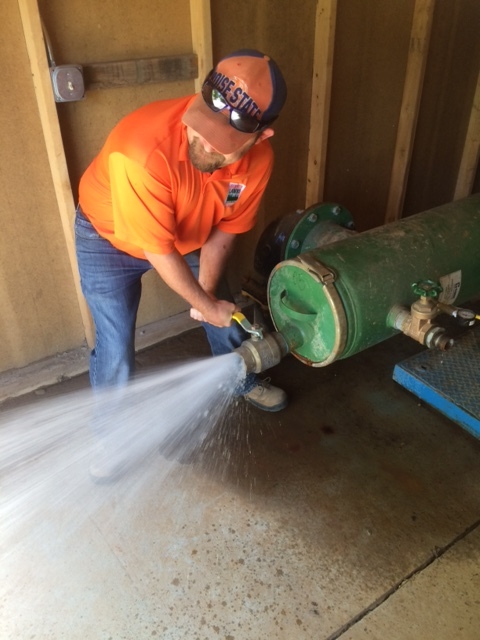 Here’s a photo tour of our irrigation system so everyone can see how interesting it is (interesting might be too strong of a word – maybe educational would work better). Remember that I’m not a water engineer so it’s likely I’ll use the wrong terms at times in my description.